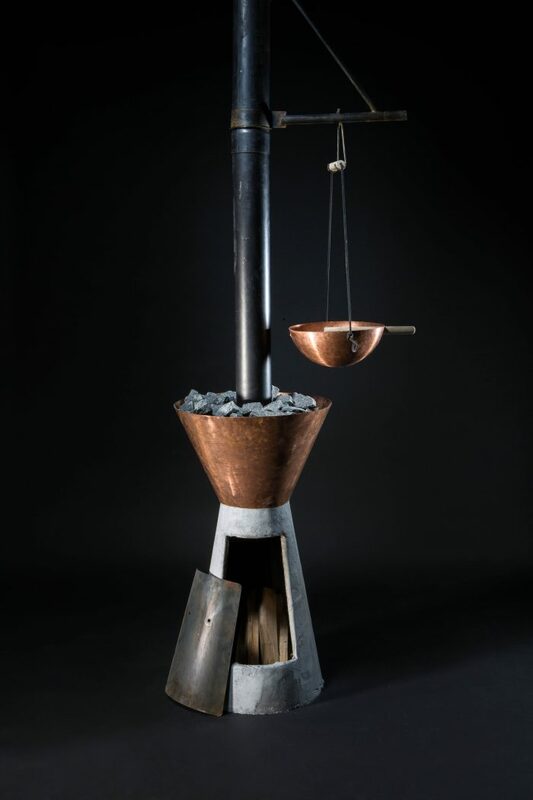 The Forms from Steam sauna stoves, buckets and ladles represent new interpretations of Finnish sauna culture. The items were designed by our international master students during the Form Exploration course. 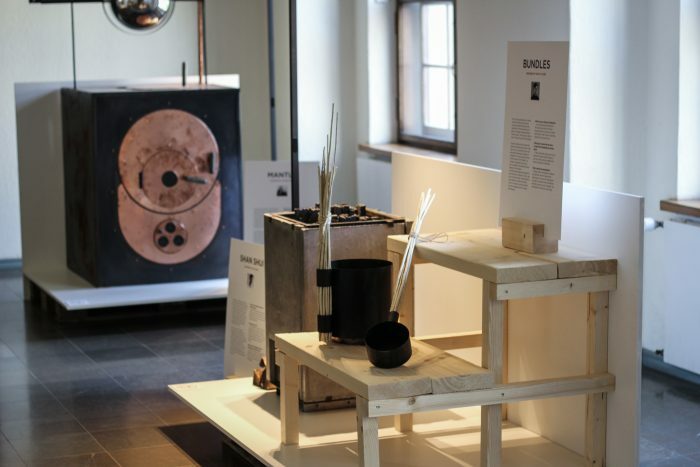 Forms from Steam represents new intrepretations of Finnish sauna culture in form of stoves, water buckets and ladles. The items were designed and implemented by international master students during the Form Exploration course as part of our Collaborative and Industrial Design master studies. The idea was to give students a deeper understanding of Finnish sauna culture, which was acquired through several lectures by sauna experts and visits to local saunas. The students were challenged to transform this experience into new designs of these sauna essentials. 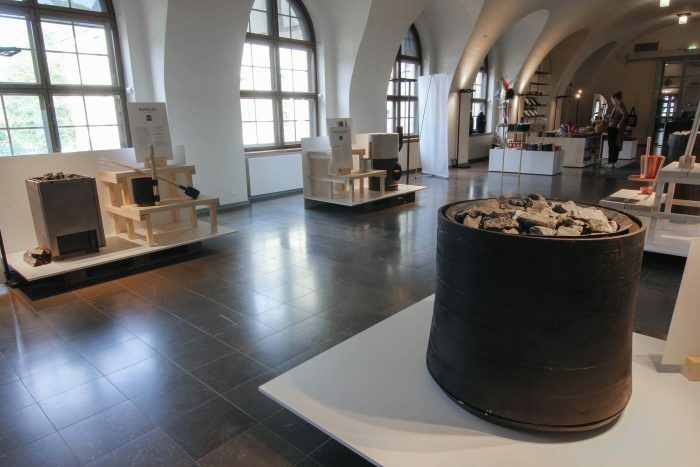 The developed prototypes are open-minded and sophisticated visions of how the aesthetics of the Finnish sauna ritual could be interpreted. They challenge the established conception of sauna experience and manage to emphasize the most important elements in Finnish sauna: understandability, honesty and simplicity. 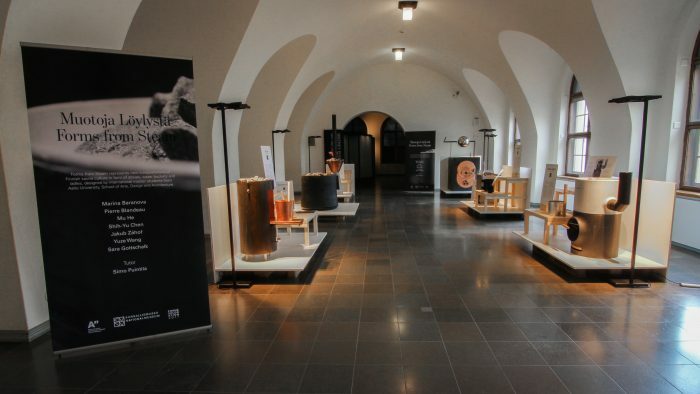 The prototypes were exhibited during the Helsinki Design Week 2017 in the pop-up space of The National Museum of Finland from September 7 to 16.